Goldsmiths, University of London, is a leading centre for teaching and research in the visual arts. 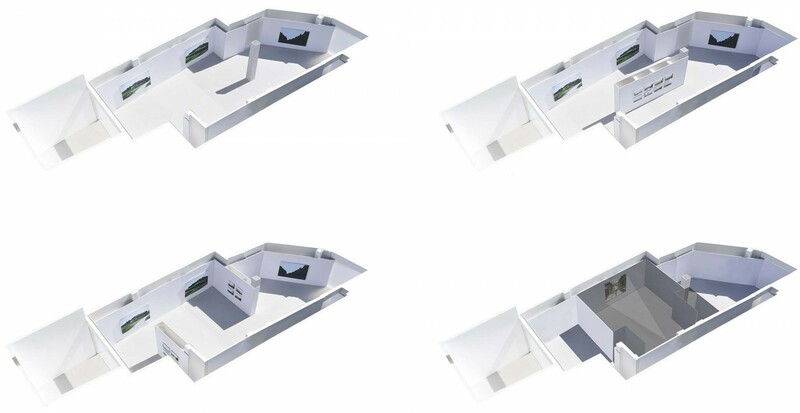 Our competition proposal was to create a Gallery within the existing water tanks and adjacent spaces, and to build a new entrance hall on the front of the tanks to provide access. 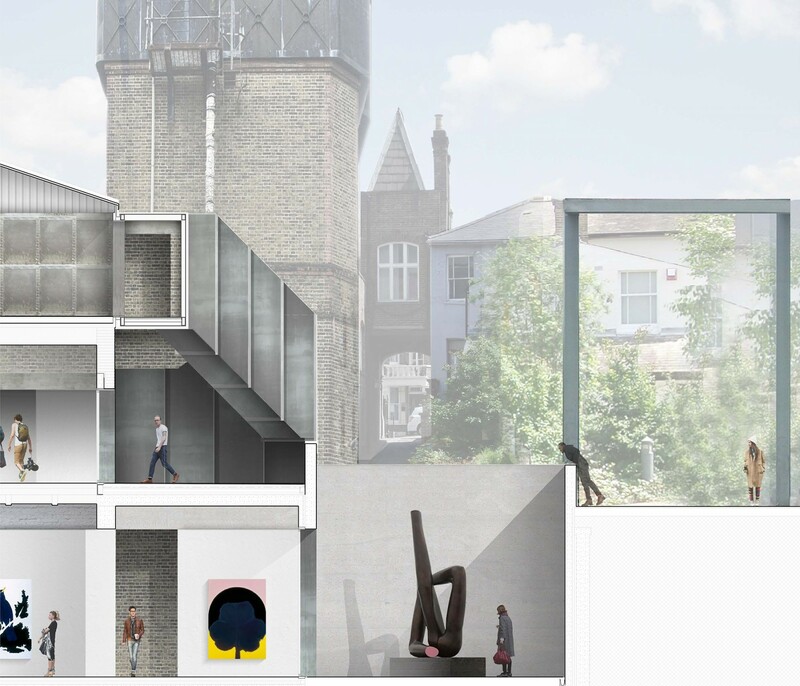 The Gallery will make a hugely beneficial impact on the life of the University, though a combination of curated exhibitions, residencies and research projects, with a view to it becoming one of the cultural showcases of southeast London. 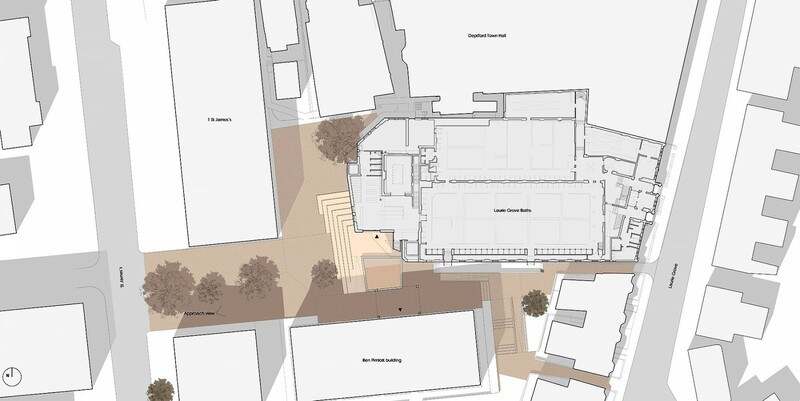 Our proposal is a set of discrete yet powerful moves which create a new public realm for the college and place the gallery at the heart of Goldsmiths. The emphasis has been given to the creation of the largest possible gallery. A generous space of volume and light. The conversion of the Laurie Grove Baths into the MA Studios became a starting point for our approach. Minimum alteration with maximum effect and a clear appreciation of the Victorian fabric, both became guiding principles. A sequence of deep, generous steps create a gentle approach to the new Gallery, whilst maintaining a sloped connection to the Ben Pimlott building. They also provide the opportunity for students and members of the public to sit and occupy the space. 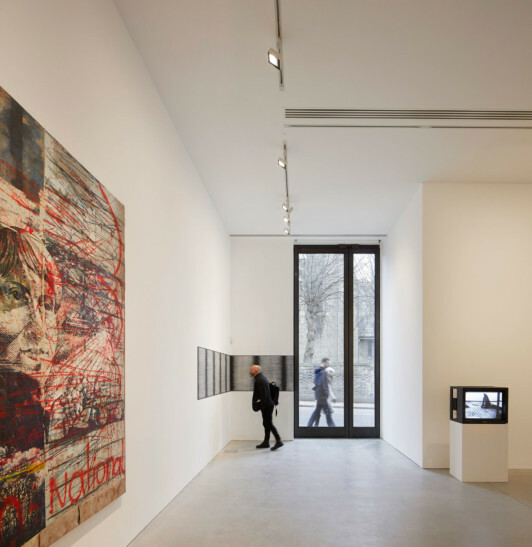 In our scheme, the main Gallery is located in the basement where it is possible to maximise the full potential of the existing fabric and the environmental benefits of being located beneath the ground. While substantial in area and volume, the gallery retains a pragmatic approach to the existing building. 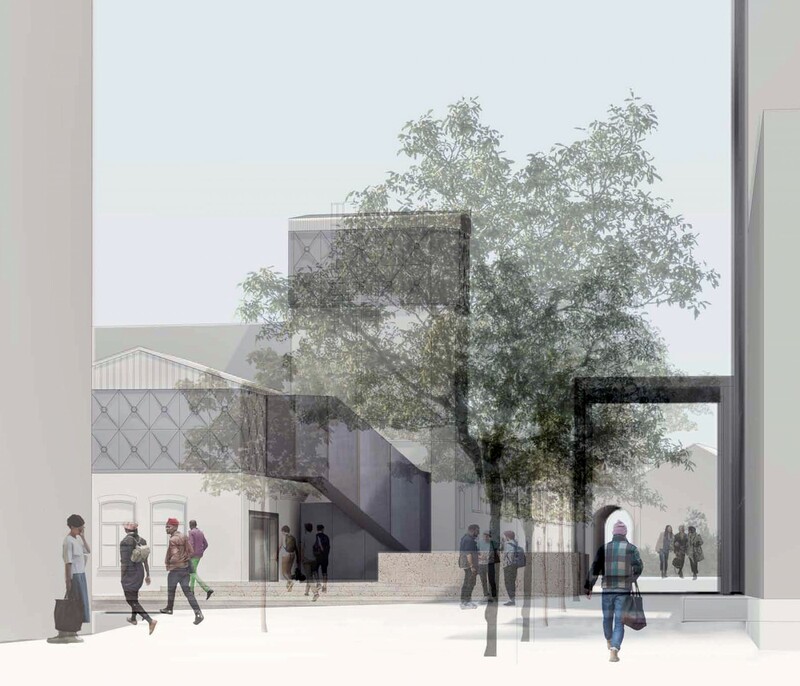 The focus of our proposal is to maximise the potential of the main gallery. 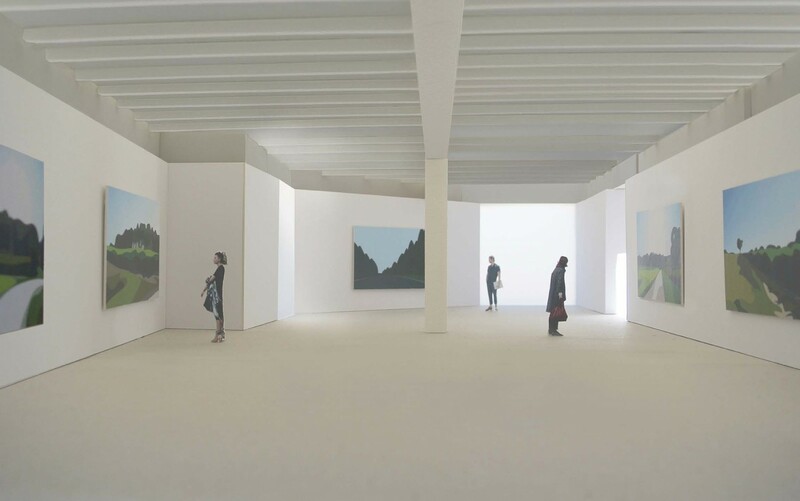 By accommodating the other elements of the brief within the existing fabric, with a light touch, we proposed that the majority of the funds could be directed towards achieveing a single gallery of 275m2 that is flexible, generous and economical. The new structure would support the existing ground floor, removing unwanted internal walls, while exposing the perimeter walls and ceilings. 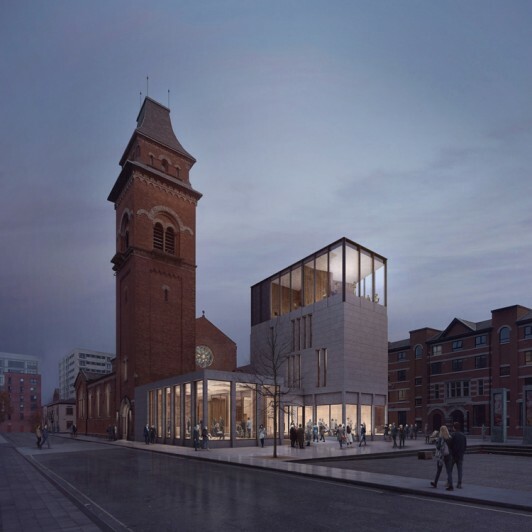 Minimal ground excavation would provide the gallery with a 4.6m ceiling height and an internal 4.0m display wall which in turn allows services to run behind. The irregular shape of the gallery lends itself to a number of configurations increasing hanging surface and sequences of spaces. 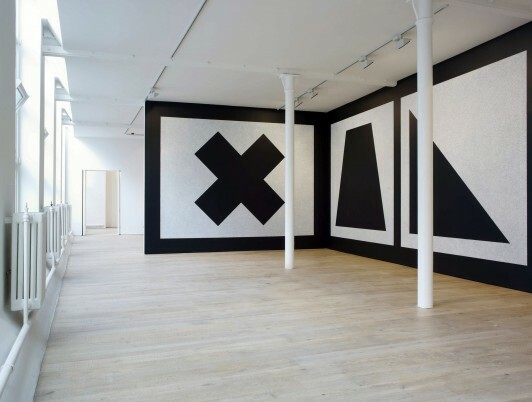 The illustrations above, show the flexible use of the gallery space with partion walls, a central wall and a dark room for video installations.The daylight openings can be simply turned into display walls depending on the exhibition.